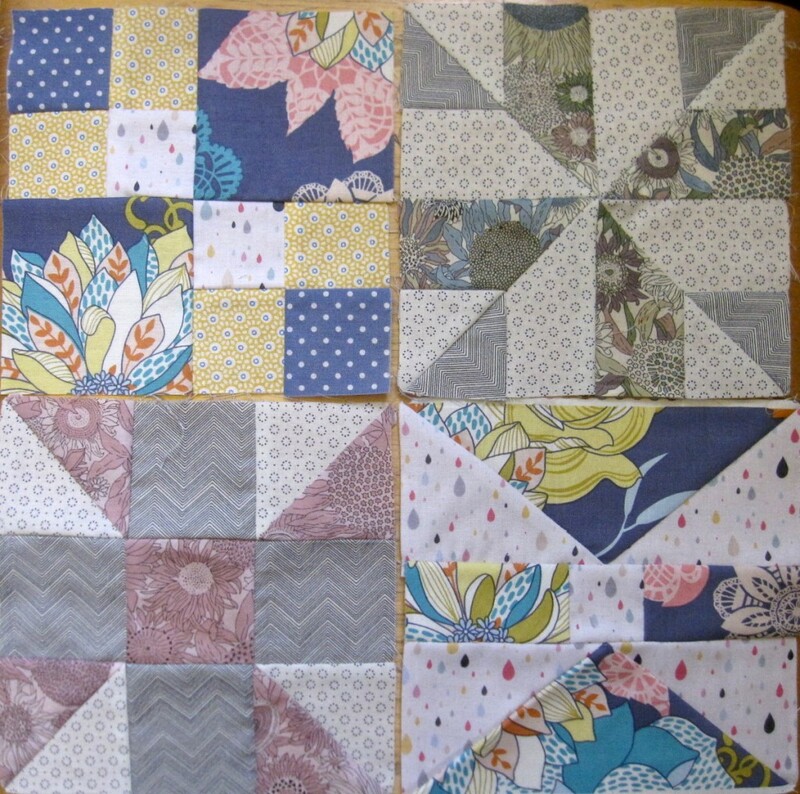 So I’ve been going nuts with the quilt squares! I thought I would go along and make 2 a week, like the quilt along says. They are pretty tedious to cut out, let alone sew (and unpick!) But I’ve been having so much fun making them I’m already past 20. Which is great. At this speed I’ll be done faster than I thought. But I know at one point you lose steam too, so no holding your breath! I won’t put pics of all of them right now – there’s only so many you can take!! I’m not one to use one fabric designer, or one collection. I use pretty cacophonous combinations sometimes, but I think all together it’s going to be OK. Man I hope so. So far I’ve repeated myself twice – ha. Now I’m marking the book so I remember. I’ve done most of the ‘easiest’ blocks. 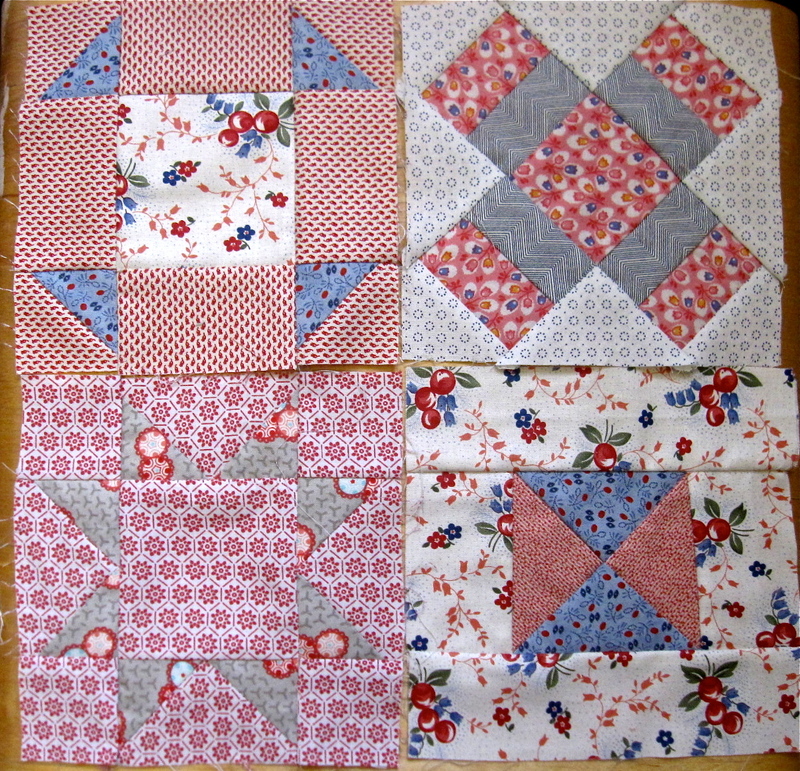 By easy I mean less pieces per block (each block is just over 6 inches total). Next weekend it’s time to tackle some mean ones. 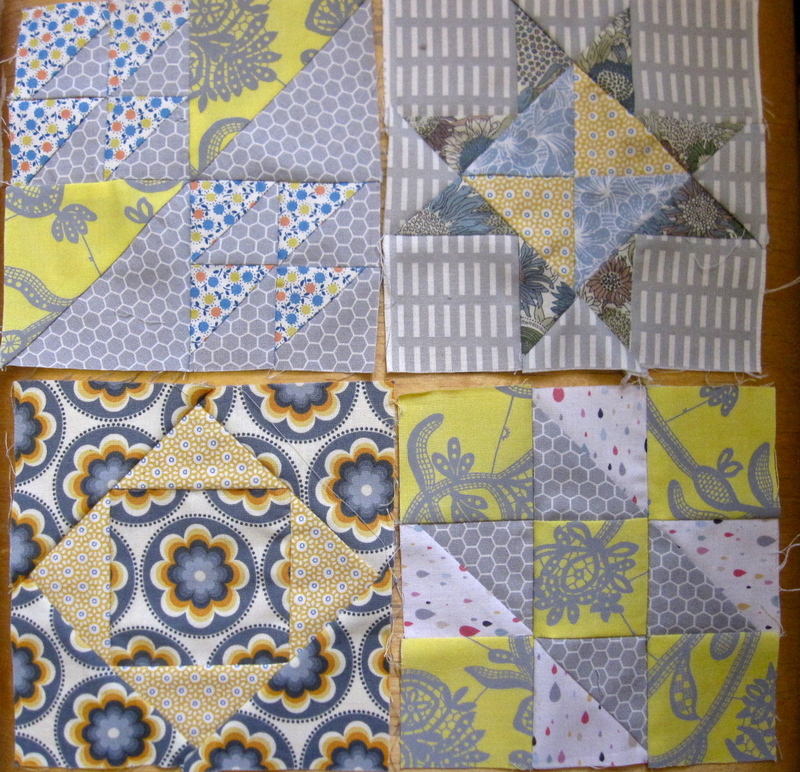 Also for those quilters out there – I am not including the basket blocks (there are 2) with applique handles. I want it more geometric and find the curves stand out too much. So my repeated ones might just be fine! These are looking great! 20 already! That’s impressive progress (and making me want to dig mine out of hibernation… but first I have another quilt to finish). Lovely fabrics. 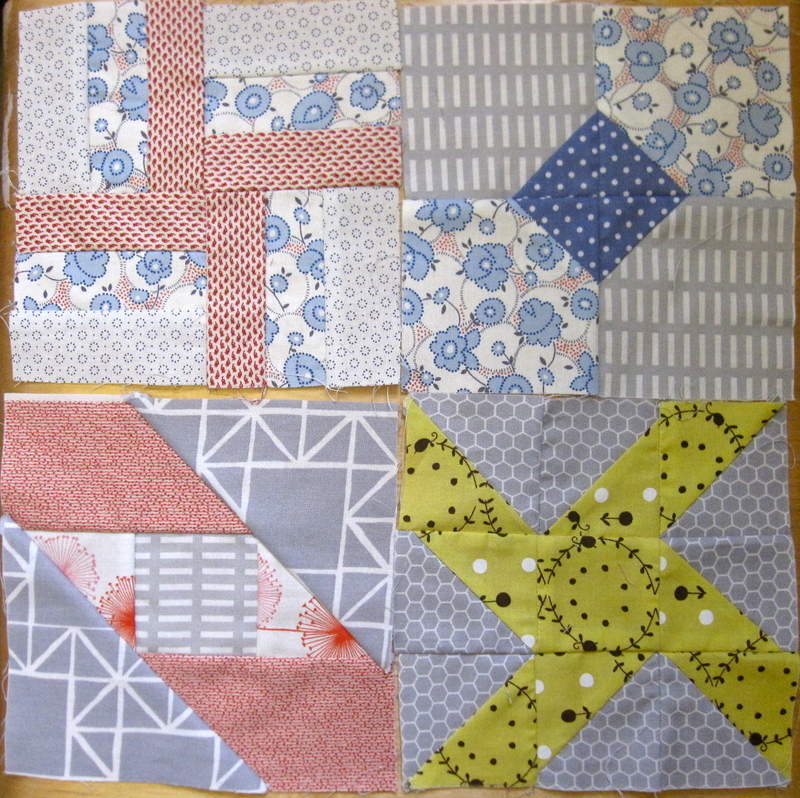 Love all of the grey print blocks! Sew beautiful! I love the fabrics you chose.